The UCSD men’s basketball team travelled up north to Western Oregon University to compete in the Doubletree D2 Shootout and extend its three-game win streak against Concordia University in Oregon and Western Oregon University. The Tritons kept their streak alive, winning on back-to-back nights. 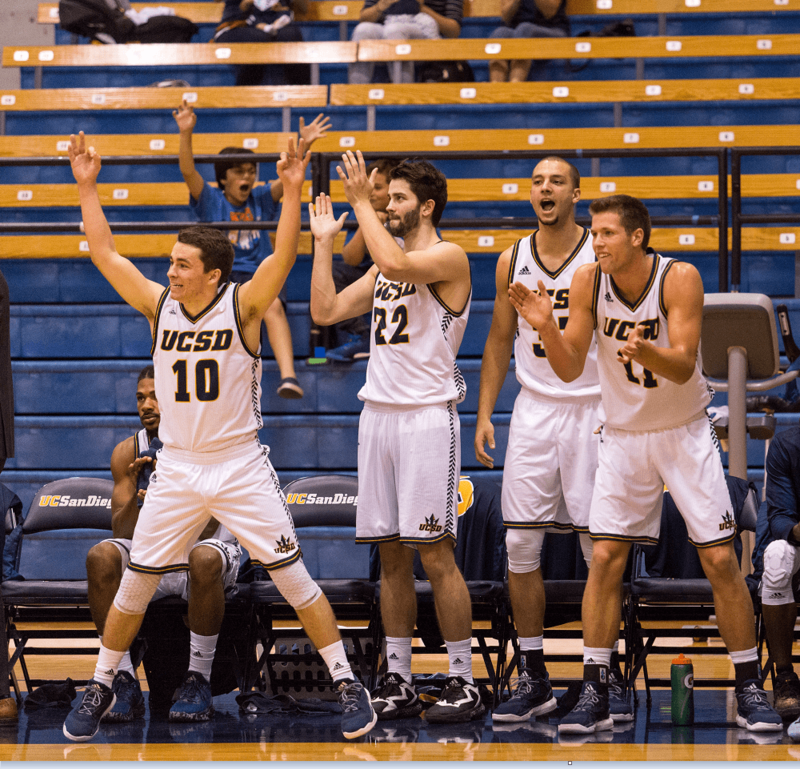 UCSD now stands at 5–0 and will be looking forward to keeping the streak going into conference play, which is set to begin in the coming week. Senior Adam Klie led the way for the Tritons Friday night in their 66–57 win against Concordia, producing 25 points to lead all scorers. Klie was solid all around throughout the night, going 10 for 15 from the field and filling up the stat sheet with nine rebounds and six assists to accompany his points total. Along with Klie, sophomore guard Christian Oshita was the only other Triton in double figures, as he ended the night with 12 points to go along with six rebounds. As a team, UCSD shot 48 percent from the field. While not their best night overall as a team for the Tritons, they fought to the end to earn the all-important win. UCSD has camaraderie and character and will surely continue to progress as a team in learning from games like these. The last meeting between the two came in last year’s NCAA West Region final, where Western Oregon defeated and ended UCSD’s marvelous run in the postseason. However, this time around the Tritons earned another game in the win column with a confidence-boosting 75–63 over the familiar foe. Klie and Oshita both continued their strong starts to the season: Klie turned in another fine overall performance with 12 points, 7 rebounds and six assists, while Oshita added a game-high 16 points and seven rebounds. The first half gave rise to a tightly contested battle between the two teams as four lead changes occurred in the first 20 minutes of play. Though the Tritons started with a 17–19 deficit, the turning point in the game came in the middle of the first half when junior guard Anthony Ballestero sparked an 11–0 run to give the Tritons the lead. From that point on UCSD received little resistance from Western Oregon and hung on to win relatively comfortably. Their fifth-straight win, including two from this road trip, makes the start of the season that more impressive for the Tritons. They can carry their winning ways into the beginning of conference play and let the others know they are a team to be reckoned with. The next game comes on Tuesday night on the road versus a tough No. 9 California Baptist University team where the Tritons will look to make their record 6–0. Tip-off is set for 7 p.m.